THIS PRODUCT COMES AS A PDF FILE! There are likely many physicians who are attracted to the holistic approach to medicine but who may be perplexed by the expanse of the field. In his latest volumes of The Principles and Practice of Integrative Medicine, Majid Ali, MD, gives us two unifying principles of medicine that can serve as a point of reference for anyone wishing to explore this new field. Called the Darwin Trilogy, they are volumes 10, 11, and 12 of his series. 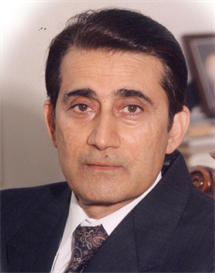 The author has derived what he calls the Darwin Principle from the work of Charles Darwin. The core tenet of this principle is: "No part can be understood except through an understanding of its relationship with the whole." The whole in this case is the entire body and all of its stressors. Ali calls upon the physician to consider the many contributors to ill health, naming our polluted environment and persistent anger and stress as the primary threats to wellness. Total body burden of these stressors then plays a role in the development of disease. The other unifying principle in these volumes is the role of oxygen, which is front and center in most processes in the human body. A very powerful substance, it can give life and it can also destroy life. For that reason, oxygen homeostasis is critical for a healthy life. The author examines the many ways that oxygen homeostasis becomes disturbed, leading to what he calls dysoxygenosis, or dysfunctional oxygen metabolism, and what is needed to restore health. 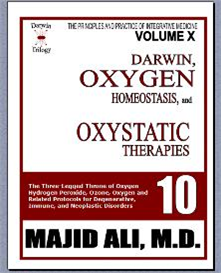 Volume X of the trilogy is titled Darwin, Oxygen Homeostasis, and Oxystatic Therapies. He begins with an examination of three mechanisms that are regulated by oxygen: acid-alkali balance, oxidant-antioxidant regulation, and clotting-unclotting equilirium. When any of these are disrupted, it affects the others. The result will be oxidosis, acidosis, and clotting-unclotting disequilibrium. He completes this volume with a discussion of oxystatic therapies that include hydrogen peroxide, ozone, and direct oxygen, among others. Volume XI is titled Darwin, Dysox, and Disease. The word dysox in the title is the shortened term for dysoxygenosis. Here we learn the many roles that oxygen plays in either maintaining health or causing chronic illness. When the cell is not able to utilize oxygen properly, it retains acids and generates oxyradical activity, which then leads to disease. The author examines several common chronic illnesses, such as inflammation, asthma, and osteoporosis and discusses how disturbed oxygen metabolism is at the root of these ailments. He also asks us to examine the many environmental stressors that could be responsible, for they must be ameliorated for the damage to cease and make a return to health possible. 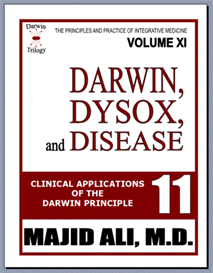 The last book in the Darwin Trilogy is Darwin, Dysox, and Integrative Protocols. The author covers additional illnesses and metabolic processes that are affected by dysfunctional oxygen metabolism. He constructs a treatment plan that encompasses education about recognizing and removing the environmental stressors from one's life, making appropriate dietary choices, and he introduces appropriate nutrient support methods. Anyone looking for a cookbook approach to medicine will not find that in these volumes, because this author offers more. He includes in all the volumes discussions of why the move to integrative medicine is needed. The fact is that the traditional medical model just does not meet our needs. A most blatant example of this can be found in the treatment of the many Gulf War soldiers who returned from that 1991 war with a variety of serious illnesses. When the "one disease/one cause/one drug model" failed to account for the syndrome, the soldiers were said to be imagining their illnesses. The total body burden of stressors the soldiers experienced exceeded the comprehension of medical professionals who are not trained to examine the cumulative effect of those stressors on the human body. The sick soldiers then were left to cope on their own without much care. Another reason why we must understand the importance of oxygen homeostasis is climate change. Ali informs us that our atmospheric oxygen levels are expected to decrease as the problem gets worse. This makes an impressive case for learning now the importance of oxygen homeostasis in the human body. He points to the many species that are already suffering mass illnesses and death as an indicator of our future. Interspersed throughout The Darwin Trilogy are the author's own poetry, literary, and spiritual quotes, asking physicians to consider their own beliefs about their profession. For those who wish to embrace the holistic approach to medicine, these volumes may prove to be a valuable entry.